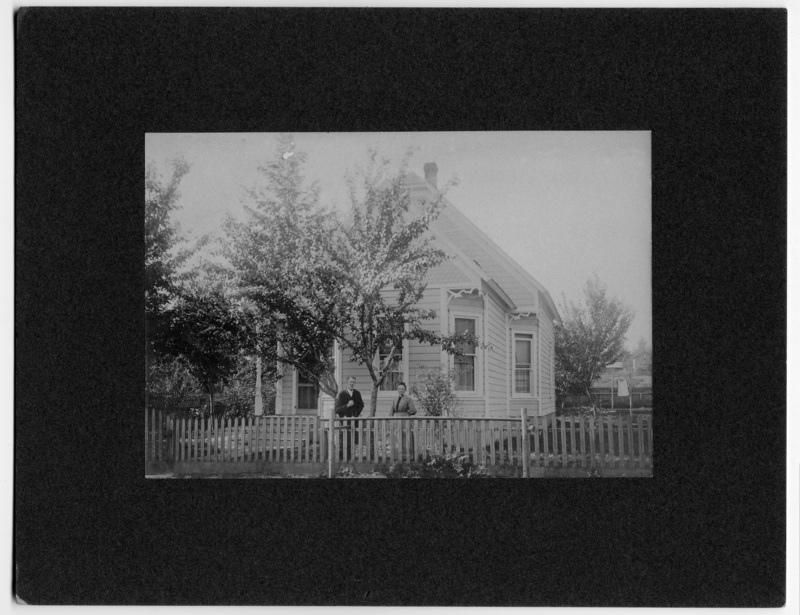 Aunt Annie Russell; Uncle Elmore Russell; Oswego-5th Street-between A & B; Oregon; West side of 5th; Elmore was brother of Mrs. Eleanor R. Mintie; Uncle of Anna Mintie Alton. Description Scanned as B & W; same as 70b, c, & d; cardboard mount; yellowing; blackening on left edge; tear upper left. Transcription Aunt Annie Russell; Uncle Elmore Russell; Oswego-5th Street-between A & B; Oregon; West side of 5th; Elmore was brother of Mrs. Eleanor R. Mintie; Uncle of Anna Mintie Alton.